Email Server Settings For Rackspace Cloud Sites is intended for legacy support, to configure own email client software on Rackspace Cloud Sites old accounts. In other words, if you have old Rackspace Cloud Sites account, this guide will work, the guide is a video tutorial for Email Server Settings For Rackspace Cloud Sites. Else contact Rackspace Cloud Support, please Article ID: 724 in Knowledge Center for official guide and statements though comments. 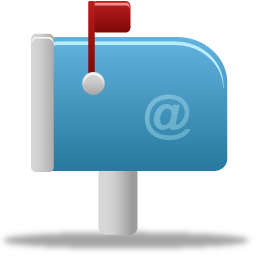 If you have extra hosted email feature, except the mail server part others will be the same. In other words this guide for Knowledge Center Email Server Settings For Rackspace Cloud Sites is not for using Free Email which was and is present with older account (Accounts over 15 months for example from the date of publication of this guide). No extra help will be provided unofficially as official help exists. You can use secure.emailsrvr.com both for incoming and outgoing settings. We have shown with Mail Application of OS X. There is no need of setting up of Port manually in most modern email clients. username usually is the account name and password is your password. Here is a short video that shows Email Server Settings For Rackspace Cloud Sites for Email Client for OS X , namely Mail Application. We unfortunately have no support as Officially you will full support from Rackspace. This is not any kind of hack or a way to circumvent and get extra feature. If you do not have the feature in new account, you obviously will need the hosted Email service separately. This Article Has Been Shared 5314 Times! Google Talk was never a favorite to the advanced users and Enterprise users, here is how Google changed the way of usage and converted it to Google Chat. Cite this article as: Abhishek Ghosh, "Email Server Settings For Rackspace Cloud Sites," in The Customize Windows, July 20, 2013, April 23, 2019, https://thecustomizewindows.com/2013/07/email-server-settings-for-rackspace-cloud-sites/.